I know I sound like a broken record here, but it’s hard to look away from something that’s so incredibly true. 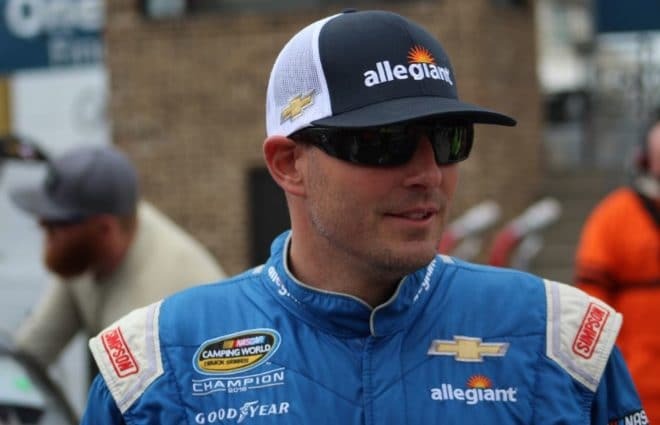 Johnny Sauter began this four-race stretch with a victory at Texas Motor Speedway, his fourth on the season, and did so in thrilling fashion, narrowly edging Stewart Friesen by 0.092 seconds in the closest finish in the history of Camping World Truck Series racing at the mile-and-a-half oval. But perhaps more important than that victory is how he ran when he didn’t have the best truck or when something went wrong. 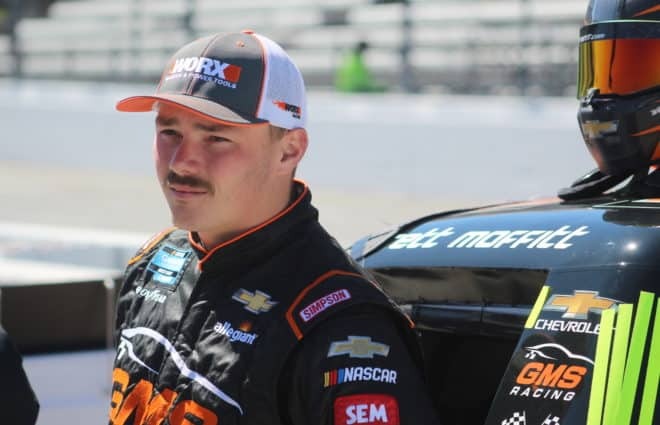 While Brett Moffitt cruised to his first win at his home track of Iowa Speedway, Sauter struggled with the handling on the No. 21 Chevrolet for the entire race. Despite the problems he faced, crew chief Joe Shear Jr. adjusted on the truck throughout the race, and when the checkered flag flew, Sauter emerged fifth. Fast forward to Chicagoland Speedway where Sauter started seventh and could never get his truck handling to his liking. To add insult to injury, the jack broke on his final pit stop, miring him deep in the field. Despite the handling and the setback, the speed underneath him allowed Sauter to recover to third, his 10th top five in 11 races this season. While Moffitt is giving Sauter a run for his money, grabbing two wins in the last four races, this year’s championship is still Sauter’s to lose. The veteran’s experience when it comes to crunch time can carry him through the pressures of battling for the title, provided he doesn’t get caught up in an incident not of his making and his equipment holds up. As if it wasn’t clear already, these last few races have shown just how strong Friesen is behind the wheel of the No. 52 Chevrolet, now aligned with GMS Racing. He started on the pole at Texas and nearly won, but came up short against the veteran in Sauter. The following weekend at Iowa, Friesen and Matt Crafton engaged in a side-by-side battle that saw the two bounce off of each other. A couple laps later, Crafton’s tire let go, collecting Friesen, along with innocent bystanders Ben Rhodes and John Hunter Nemechek. Despite the damage, Friesen was able to recover to a ninth-place finish. Meanwhile, Gateway Motorsports Park was a track where it appeared Friesen just couldn’t get the handle on his truck, and he was involved in multiple incidents. 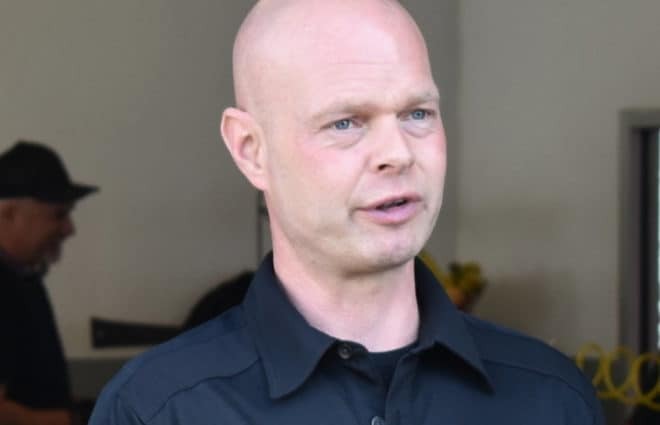 One came when he clipped Christian Eckes, who was making just his second series start, and ended his day, and the second came when Sauter clipped Friesen early in stage 3. The team worked on repairs and got Friesen back out, though he was left to settle for a 13th-place finish. 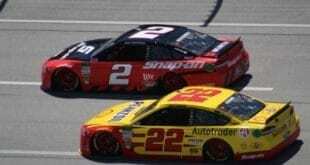 Last weekend, at Chicagoland Speedway, the sour luck continued. This time, contact with Jordan Anderson sent Friesen spinning into the outside wall. Despite significant damage to the rear of the truck, the team made repairs, and Friesen was able to finish, albeit 19th, two laps down. Based on the last few races for Friesen, it seems if he didn’t have bad luck, he’d have no luck at all. The good news? He’s made the most out of a couple on-track incidents that could have ended much differently. 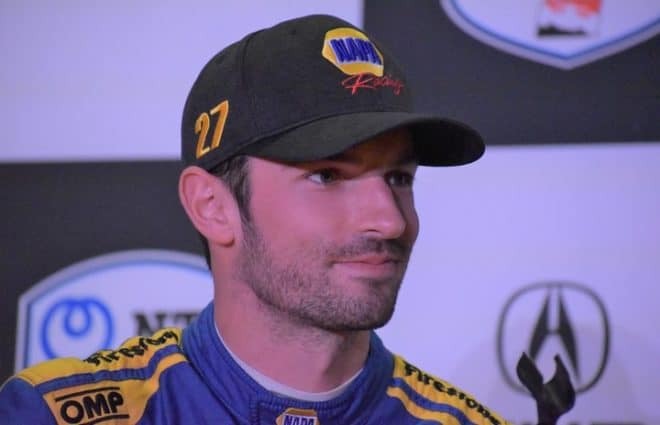 And as a bonus, he’s excelled on the mile-and-a-halves, and Kentucky Speedway is the next race the series sees, but I’m sure everyone will be watching Friesen closely when the series makes it to Eldora Speedway in a couple weeks. Running a part-time schedule in the Truck and XFINITY series this season, Nemechek already has a Truck Series win to his name after a snow-delayed Martinsville Speedway race. He entered three of the last four races in the No. 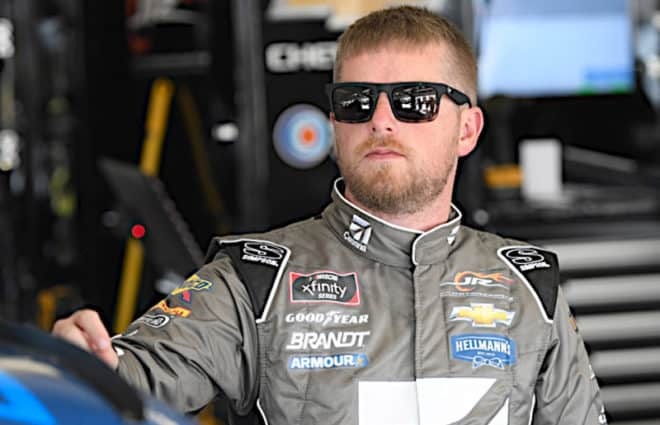 8 Chevrolet for his family-owned team, NEMCO Motorsports, but the organization left that trio of events disappointed, to say the least. Finishes of 27th, 25th and seventh at Iowa, Gateway and Chicagoland don’t tell the whole story, though. Iowa Speedway ended early for the 21-year-old when he got caught up in crash, caused by Crafton’s cut tire. The driver of the No. 88 Ford had just engaged in a side-by-side battle with Friesen, which resulted in a tire rub that ultimately took him and Nemechek out of the race after 135 laps. 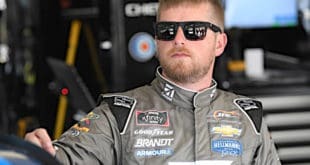 The following week at Gateway Motorsports Park, Nemechek started seventh and finished fourth and sixth in the first two stages, respectively, but an oil leak sidelined his run as the defending winner of this race. It wasn’t just any oil leak, though. He hit some sort of debris that punched a hole in the oil pan and forced him to retire after just 113 laps. Fast forward to Chicagoland, and as the laps ticked away, it looked like the race was Nemechek’s to lose. Out front and holding an advantage over eventual winner Moffitt, all the driver of the No. 8 really needed to do was to keep hitting his marks all the way to the checkered flag. But on the white flag lap, Nemechek slowed, allowing Moffitt to pass and cruise to a more than five-second victory over second-place Ben Rhodes. The initial report from Nemechek over the team radio was an engine failure, but after the team evaluated the truck, it was revealed that the fueler didn’t get the tank full on the prior pit stop, leading to another heartbreaking race for the part-time driver. 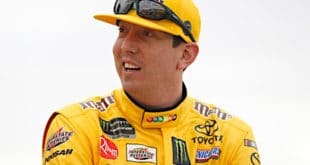 As owner Kyle Busch put it during his post-victory press conference at Chicagoland Speedway, “it’s like [the Kyle Busch Motorsports trucks] are allergic to Victory Lane right now.” And with just two victories for all of its trucks since the beginning of the season, including one by Busch himself at Las Vegas Motor Speedway, that appears to be the case. To his credit, Todd Gilliland did miss four races before his 18th birthday between the series’ visits to Kansas and Charlotte. But this four-race stretch wasn’t exactly kind to the driver of the No. 4 Toyota. After participating in a graduation ceremony at Texas Motor Speedway, Gilliland started seventh, but led a race-high 62 laps early. However, a late two-tire pit stop caused the No. 4 Toyota to lose its handling a bit, leaving Gilliland to settle for a sixth-place finish in a race he showed the potential win. But despite coming up short, he gained some valuable knowledge as he engaged in a spirited battle for the lead with eventual winner Sauter. Move ahead to Iowa Speedway where Gilliland suffered a couple of crashes that ultimately derailed his run. He retired to a 29th-place finish after completing 102 laps. Meanwhile, Gateway went a little better for the 18-year-old, but he still was forced to settle for a runner-up finish to first-time winner Justin Haley. The following week at Chicagoland Speedway, Gilliland tagged the wall, causing a flat tire and late pit stop to replace it. He wound up 16th, two laps down. Obviously, scoring a pair of top 10s in the previous four races is a great way to gain the experience needed for long-term sustainability. But given the situation Gilliland is in where he needs to win a race to make the playoffs, every time something doesn’t go the right way for the No. 4 team is one less chance to notch a slot in this year’s championship battle. Noah Gragson scored the win at Kansas in May, but was really only able to threaten for the win at Iowa since then. And even then, it was a slide job that just plain didn’t stick that doomed his potential run at the victory. It isn’t for a lack of trying though. Gragson was leading late at Gateway too, but a flat tire dropped him from a potential victory to a 10th-place finish. 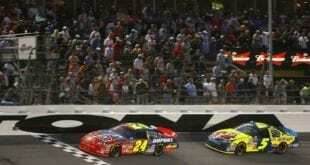 After starting on the pole and grabbing a stage win at Chicagoland, he faded back to an eventual fourth-place finish. It’s not that Gragson isn’t performing, though. With finishes of 10th, second, 10th and fourth in the last four races, he’s hardly running poorly. But with an organization like KBM that scored several wins in each of the last few seasons, a single victory by Gragson is far from meeting the expectations set before him. Meanwhile, Christian Eckes, who made his first two career starts at Iowa and Gateway, impressed almost immediately. However, he came out on the wrong end of a four-wide battle that saw him spin with, thankfully, minimal damage. Despite the spin and restarting outside the top 20, by the time the checkered flag flew, Eckes had recovered to a respectable eighth. The following week, Eckes led 34 laps and scored the stage 2 win at Gateway before getting caught up in a wreck that ended his day early. Friesen slid up the track after getting loose and clipped Eckes’ left rear, sending him hard into the outside wall. The damage proved terminal, and Eckes was left to settle for a 28th-place finish. After back-to-back races with contact, it’s hard not to wonder ‘what if’ for Eckes. After all, he was clearly stronger at Gateway than Iowa, which is not surprising given the extra seat time to get used to driving a truck. But who knows what could have been for the No. 46 team if not for the spin at Iowa or the crash at Gateway. With all of that said, if this kind of racing is what can be considered struggling, the KBM crew is going to be just fine.